I’m posting this early on Friday, Christmas Eve. For millions of American children, tonight will be the most exciting night of the year. Bigger than New Year’s Eve. Bigger than Independence Day’s fireworks at dusk. Even bigger than Halloween, when they can beg bagfuls of candy from their neighbors. Kids get so excited on Christmas Eve that they have a terrible time getting to sleep. Yet it’s also the one night of the year that their parents are the most insistent about getting them to bed and to sleep. Only when they’re in dreamland, Mom and Dad explain — without much in the way of proof — will the magic elf Santa Claus land his sleigh, laden with toys and pulled by eight tiny reindeer, on the rooftop above. I say eight tiny reindeer, and that’s the way the story went for 116 years, after Clement Clarke Moore published the poem “A Visit from St. Nicholas” and described not only St. Nick — with cheeks like roses, a nose like a cherry, and a little round belly that shook when he laughed like a bowlful of jelly — but also Dasher and Dancer, Prancer and five other hard-working reindeer. But the story changed big-time in 1939. 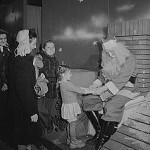 In that year, someone at the Montgomery Ward department store in Chicago, Illinois, figured it could save money by publishing its own Christmas coloring book — the kind that store Santa Clauses gave away to boys and girls who lined up in the store to tell Santa what gifts they wanted for Christmas — rather than paying an outsider to provide these books. The store turned to 34-year-old Robert May, a bright fellow — Phi Beta Kappa graduate of Dartmouth College — who was one of the writers of the store’s newspaper advertisements. 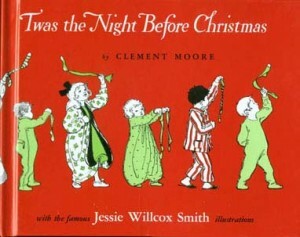 On his own time and dime, May wrote children’s stories as well. 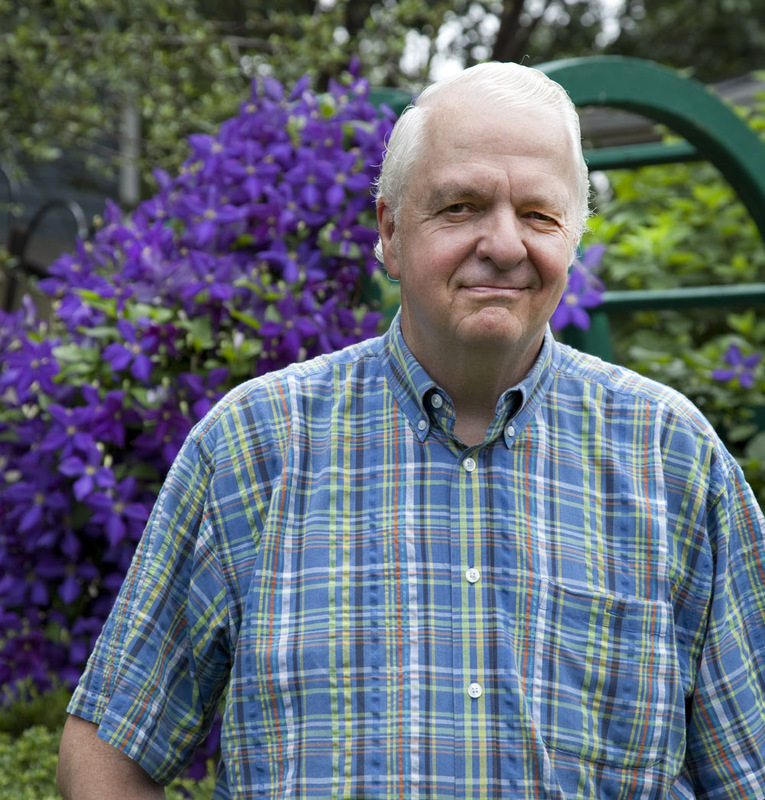 As a child, Bob May had been scrawny and sickly — mocked and shunned by other kids. So, drawing upon his unhappy experiences and the 19th-century Danish fairy tale of the Ugly Duckling — a homely little fowl who was also an outcast among his peers — May invented the story of a ninth reindeer, living with the others at Santa’s toy workshop at the North Pole. Like May and the duckling, this little deer was ridiculed by the eight privileged reindeer that proudly pulled Santa’s sleigh each Christmas Eve. 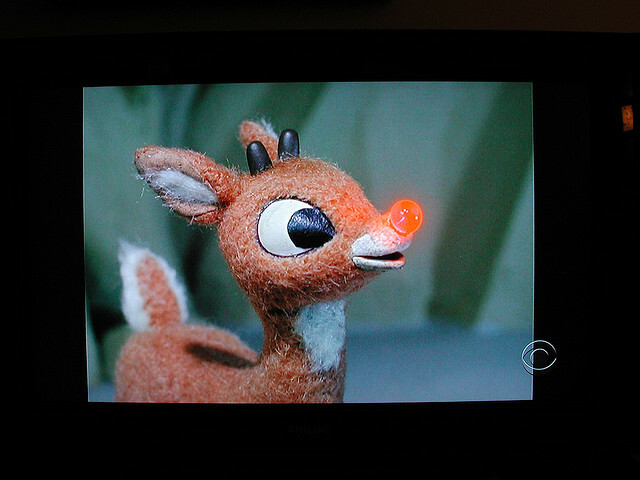 Not only was he small and wobbly, but he sported an oversized, ridiculously shiny red nose. Red, like a clown’s nose or a drunk’s schnoz. So red, it seemed to glow, making him that much easier a target for bullying. May needed a name for this pitiable creature. Something starting with “R” so he could couple it, alliteratively, with “red.” He tried “Rollo the Red-Nosed Reindeer,” but that name sounded a little too cheerful. He thought “Reginald” might work, but that seemed too stuffy for a spindly little deer. Finally, he settled on “Rudolph,” a name that, by itself, sounded a bit awkward to the American ear. 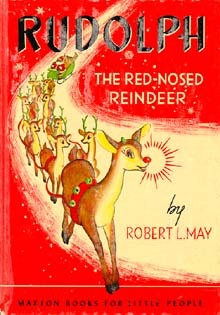 I don’t know whether it factored into May’s selection, but “Rudolph,” like the German name ending in “f” intead of a “ph,” would have been about as unpopular at the time — with World War II brewing — as a red-nosed pariah was to Prancer and Vixen and the rest of Santa’s favored deer. 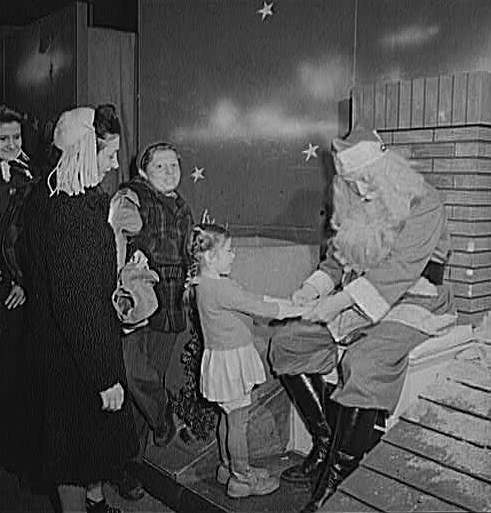 Bob May’s story doesn’t tell us much about Rudolph’s doubtlessly dreadful life at the North Pole, left behind, all sad-eyed, each Christmas Eve as Santa and the eight working deer soared off with their sleigh full of toys. His tale begins one Christmas Eve as a terrible fog descends upon Santa’s workshop, just at takeoff time. If a jet-powered plane equipped with millions of dollars’ of instruments cannot set off in such conditions today, an eight-pack of reindeer was assuredly stuck — socked in, grounded — in the pea-soup fog 71 years ago. Christmas morning would be a disaster! You can imagine the rest. 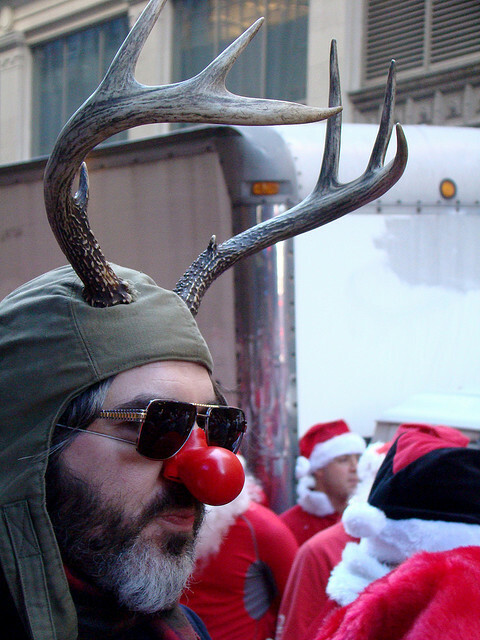 Santa harnesses Rudolph to the front of the team, and off they go, using ’Dolph’s nose as a beacon. Montgomery Ward — which was not just a Chicago store but also an early chain with outlets throughout the Midwest (and had pioneered the lucrative mail-order catalog business that drew customers from every U.S. state) — distributed 2½ million Rudolph coloring books the first year alone and millions more in the decade to come. Parents and kids alike adored the story of the heroic little deer. But Rudoph’s day in the sun, or the night sky, was just beginning. It so happened that Bob May’s brother-in-law was Johnny Marks, a composer of schmaltzy ballads and holiday songs. He put Rudolph’s story to rhyme and music. In it . . . 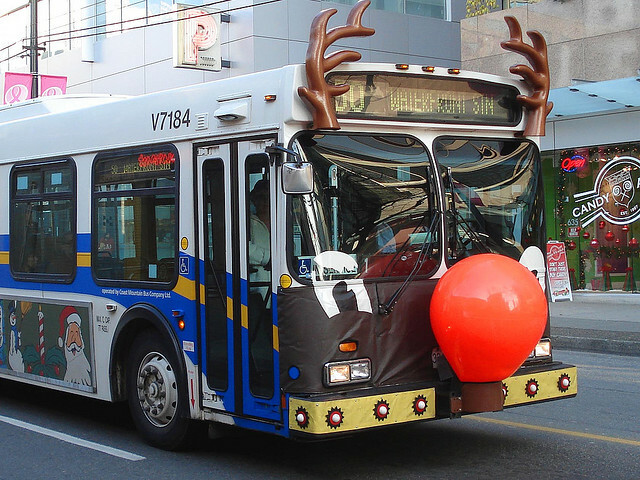 They never let poor Rudolph join in any reindeer games . . . The rest is, if not history, long-lasting popular lore. In 1949, Johnny Marks asked the nation’s most popular “singing cowboy,” Gene Autry, to record the tune. Autry, who had sung only western cowpoke tunes, despised the corny reindeer ditty. But Autry’s wife talked him into it. This very day, 61 years after Gene Autry reluctantly recorded it, the same rendition will play thousands of times on radio stations across the country, along with a ditzier version recorded by the chirpy, anthropomorphic Chipmunks. In 1964, storyteller Burl Ives narrated a children’s TV special about Rudolph that, like Autry’s song, has become a Christmas staple. 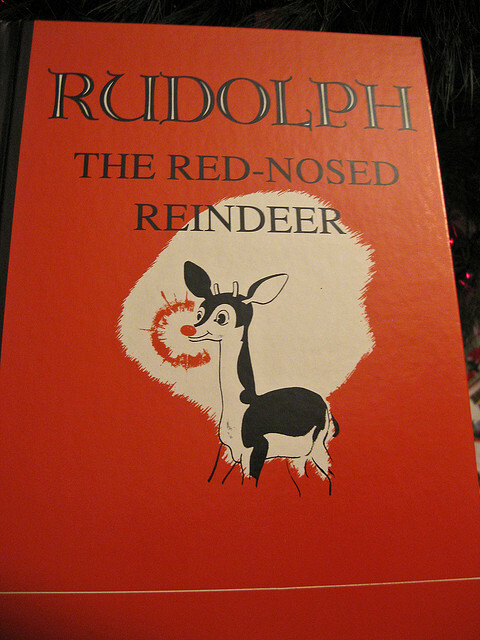 In this one, Rudolph’s story gets fleshed out rather unbelievably — not that the original story was exactly credible. 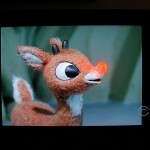 Rudolph even gets a love interest named Clarice. Other variations of the story give him a son, Robbie, and a brother, Rusty the Reindeer. I’m left to wonder why Rusty wasn’t supporting Rudolph all those woebegone years that he was being ostracized and taunted by Santa’s smugger reindeer. Maybe Rusty was a little fella who couldn’t stick up for this brother. I haven’t told you much about my own feelings about Rudolph, even though the song — I never knew about the comic book — was already a classic when I was growing up. Always a Virgo literalist, I never cottoned to the Rudolph story. I pegged it as a hard-to-swallow rip-off of Clement Moore’s original tale, which my mother and I would read aloud together — with dramatic flourishes — each Christmas eve. So for me, Dasher, Dancer, Vixen and the other other hard-working, high-flying reindeer were doing just fine as Santa’s airborne helpers. Of course, I had no idea they were bullies. Anthropomorphic. Giving human-like characteristics, even including human speech, to animals or inanimate objects such as trees. Corny. Overly sentimental and predictable. The name is a slap at rustic folks, who, presumably, are too unsophisticated to come up with fresh and creative material. Ditzy. Silly, balmy, more than slightly daft. Pariah. An outcast. One who is shunned. Schmaltzy. Sappy, maudlin, overly full of sentiment. Songs that make you cry are schmaltzy.